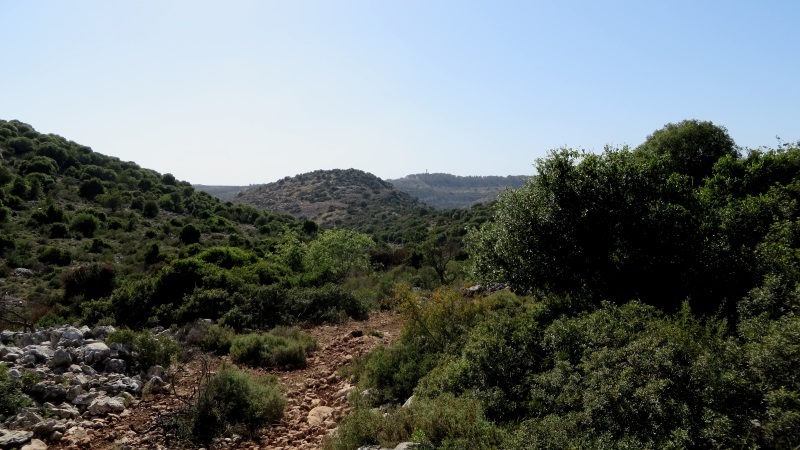 Rampant pollution has been plaguing Wadi Qana – the beautiful valley north of Salfit city – ever since illegal Israeli settlers started colonising the area in the 1970s. The colonists had been pumping their sewage down the hillsides of the valley, often directly above-ground, up until 2005, when Palestinian farmers finally succeeded in forcing the colonists to install sewage pipes, through a decision in the Israeli occupation courts. While those did not solve the main problem of underground water pollution, at least they hid the foul-smelling and disease-inviting waste. 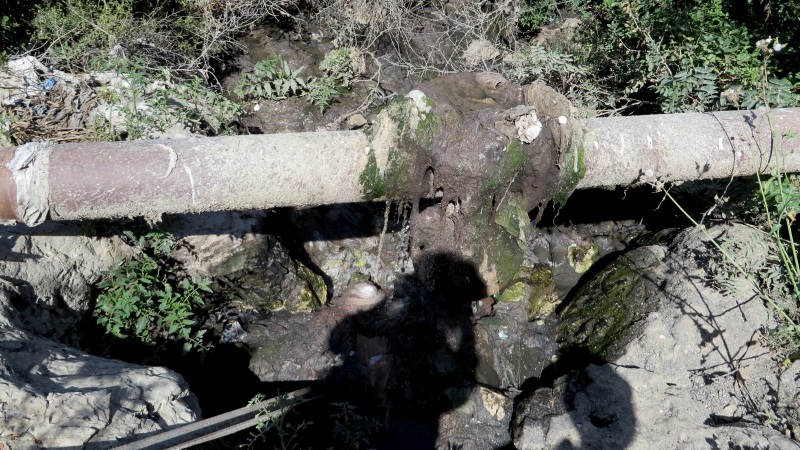 On Thursday 1 May a farmer from the neighbouring village of Deir Istiya who owns land in Wadi Qana discovered a new leak in the settler sewage pipe high up in the valley. By his estimates, the sewage has been leaking for at least 6 months; at closer inspection failed efforts to stop the leak with a pile of cloth are still visible – but it was not enough to withstand the constant sewage flow. On the leak path, some trees have already died from the sewage; more might follow. 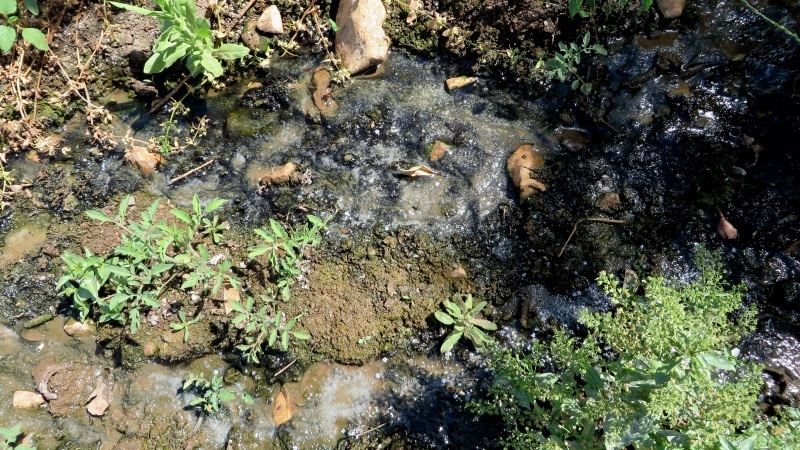 Even worse – locals estimate that by winter time, sewage may reach underground water and pollute the remaining water spring in Wadi Qana as it has done with others. This would have catastrophic consequences to the farmers and deeply disturb the natural environment for many years to come. Farmers are planning to inform Israeli occupation authorities about this leak and demand that it be fixed immediately. River of sewage from an overflowing settler colonist sewage pipe is flowing into the Valley. The leaking colonist sewage pipe; efforts to cover it with cloth are still visible. 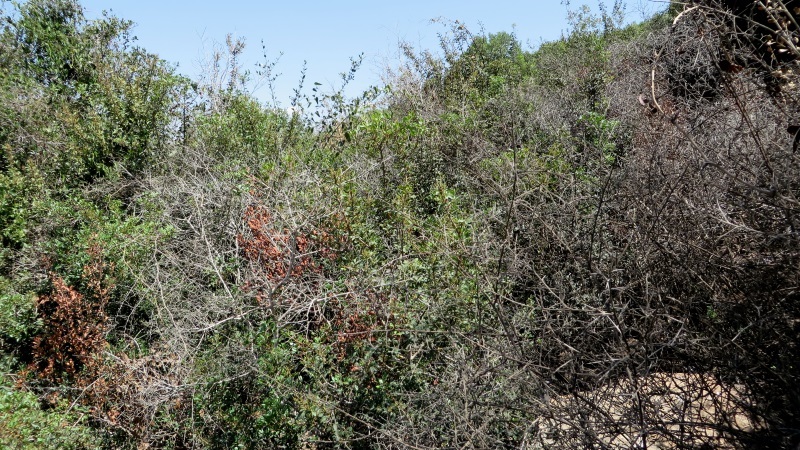 Certain types of trees cannot tolerate the poisoning and are quickly dying out.